This piece was made for a Berlin based company, which rents adspace represented by the bright yellow spaces. 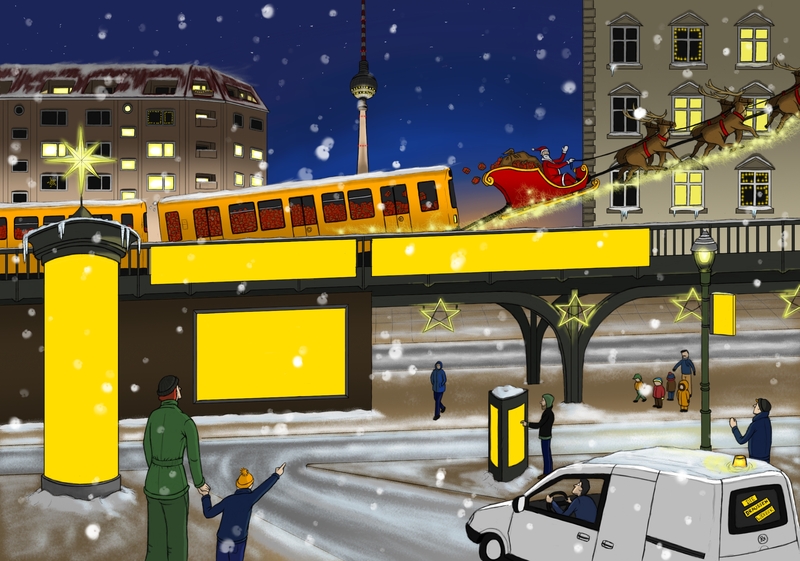 It was used as illustration for a advent calendar for their customers and the yellow space were used for the seasonal greetings. Click below for the full Christmas Experience.